Steve here… The following are some fresh ideas on how to celebrate Easter with your church family from some of our colleagues. Enjoy. “I have been part of a Maundy Thursday foot washing service as well as a Maundy Thursday Tenebrae service. Both were powerful experiences for us as we thought about Christ’s service in the midst of suffering and how Christ’s candle was the only one in the darkness. We also did a Maundy Thursday midnight watch service at my first church. 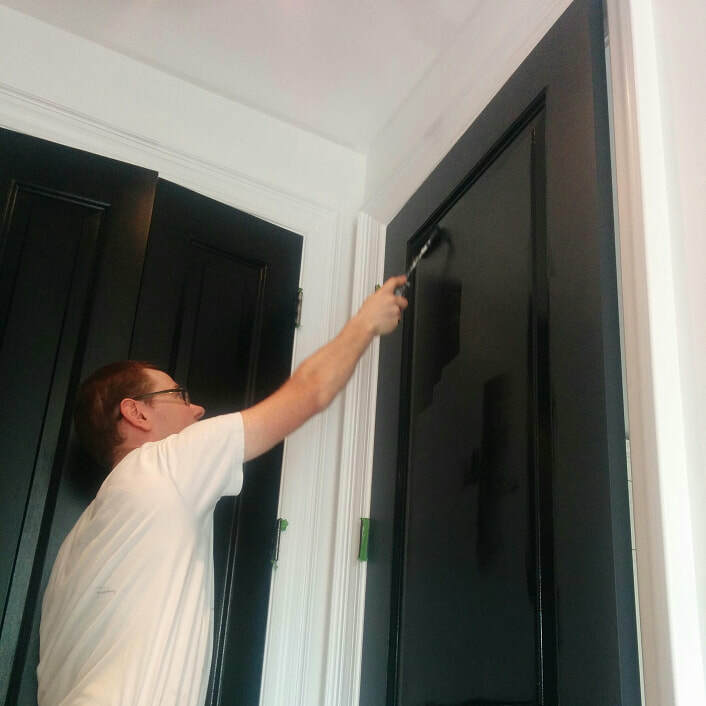 “I get someone to build me a mock door and I paint it while I preach about the first Passover. When I am done the sermon, people have to walk through the door to pick up their communion bread and cup. I have had people come to Christ as they listen and take part in communion like this. “We started the Good Friday service with all lights on and all curtains opened (like a typical service at Grandview). The first piece of our service was a welcome and a reading from Matthew 26:17-35 (the Last Supper). Following the Scripture reading we sang a song that emphasized that Scripture passage. Then we read from Matthew 26:35-56 (Jesus in Gethsemane) and responded with a song related to that passage. We proceeded to bounce back and forth between song and Scripture, through the Gospel of Matthew. Each time a passage of Scripture was read (and we moved closer to the Crucifixion), the lights became more dim until the whole room was dark as we read about the crucifixion of Christ (Matthew 27:45-54). After reading this passage, nothing was said. We left the room in a state of darkness and awkwardness (is the service done?) much like the uncertainty and awkwardness the disciples must have felt. After wrestling with the awkwardness, a few people began to leave in silence and others followed until the room was empty. “Then, on Easter Sunday, we began with the room in darkness. The first song we sang was, ‘Death was Arrested’; a song that begins with the hopelessness of man, ‘alone in my sorrow… and dead in my sin… lost without hope… no place to begin…’ The song ends with hope in Christ, and when we sang the lyric, ‘but then Jesus arose with our freedom in hand,’ the lights flashed on and the curtains were opened! Symbolizing and emphasizing the hope and life that Christ gave his followers when he conquered death in His resurrection! “On Good Friday we gave everyone a large iron spike when they came in. During the service when we talked of Jesus having taken away our sins, the ushers came up to collect the spikes. They passed metal bowls up and down the rows to collect the spikes, then poured the spikes into metal pails. A CD was playing as we did this – Kiriye Elieson – Lord, forgive. It was very impacting. “We purchased enough hot cross buns from our local bakery (best on the Island in most people’s opinion) for 250 people on Easter Sunday. Our services are 9:00 a.m. – 10:20 a.m., and then 11:00 a.m. – 12:20 a.m., so the 40 minutes in between allows us enough time to really have a great social time between services. 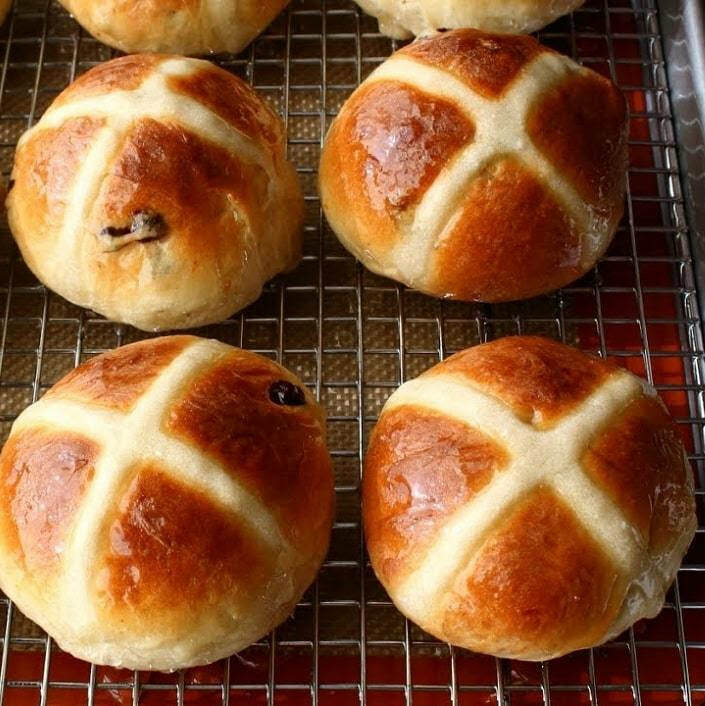 We talk about the local bakery, the great deal they give our church and what a hot cross bun symbolizes.It’s dead simple but it means something to our local merchants in town. How do You Spell Forgiveness? When it comes to forgiveness, this is the very attitude Jesus is looking for. In Colossians 3:13 (NIV) we read: “Bear with each other and forgive one another if any of you has a grievance against someone. Forgive as the Lord forgave you”. As the Easter season approaches, it is important for us to keep this in mind. A genuine believer is familiar with both giving and forgiving. Jesus gave all He had and forgave all He could. Why do you suppose it is important to both give and forgive? Likely because it is very difficult to love one person while remaining angry or resentful of another person. Bitterness divides the heart and chokes love from our system. It is toxic. You say: “Wait a minute. You don’t fully understand what I’ve gone through. My father, mother, spouse, boss, teacher, friend, neighbour, coach, pastor, church treated me horribly. They need to pay in some way for what they did to me.” I agree. But the truth is, Someone already did! You say: “Hold on a second. They don’t deserve God’s unconditional love, unfailing grace nor my forgiveness.” Again, I’m not going to disagree with you. But if they don’t deserve it…do you? Before you pass judgement and demand payment, try to recall the last time you broke your word with the Lord. Likely, you need only think back to the past 24 hours. What was God’s reaction to your broken promise? Let’s all keep re-learning the importance of giving and receiving forgiveness. As we approach another Easter season, as we celebrate the cross and empty tomb, may the marvelous news of Christ’s forgiveness guide our actions in the days ahead. Steve here… I recently studied the giving patterns of our local churches toward Fellowship National ministries and our Fellowship Regions. There was good news and bad news. I thought you might be interested in learning about some of the data regarding relevancy and added value. Some of you may be saying, “We don’t partner because we see no relevancy or added value inherent in our relationship with our Regional or National ministries.” I beg to differ. Our Regional and National ministries’ sole existence is to support our local churches to mission effectiveness. I am more convinced of this than any time in my life. I encourage you to take another look. The proof is in the growing spirit of interdependence in our Fellowship at large. Our Regions are experiencing this. One of the fruit of this reality is the remarkable number of churches being planted in shared partnership in our Regions. Our National ministry has seen record numbers of missionaries and chaplains being appointed. It has been very gratifying to see our local churches coming to their Region and National ministries looking for partnership, support, and help. We exist for our local churches. We love the church. Where Your Heart is, Your Wallet Will be Also? 29% of our churches did not support their Region. 43% of our churches did not partner with any National ministry. 58% of our churches invested more than $1,000 with their Region. 46% of our churches invested more than $1,000 with National. 14.2% (71) of our churches invested nothing in their Region or National. The purpose of this blog is not to make any comments, conjectures, or conclusions. I’ll let you do that. I’m just giving you the data and asking you whether we’re satisfied with our current reality. If your church supports neither your Region nor any National ministry (ie. missionary, FAIR appeal/project, chaplain, National staff member, etc). Why? Please consider talking to us. Let’s discover a path forward together. We want to be in partnership together. Prayerfully consider a modest increase of support to your Region in 2019. All our Regions are very busy serving our churches on very modest resources. If your church has received help from your Region, consider supporting them so they can better help another sister church. Prayerfully consider having your church partner with one of the National ministries in 2019 where there is a fit, or talk to us about helping your unique mission initiative. Consider personally leaving a “legacy” to the Fellowship’s Foundation, especially if you’ve been a part of the Fellowship family for decades.
" Sobering Realities about Wacky Tabacky "
Steve here… Each day I pass a store called, “Wacky Tabacky” on my way into the Fellowship Ministry Centre. It reminds me that times have changed. 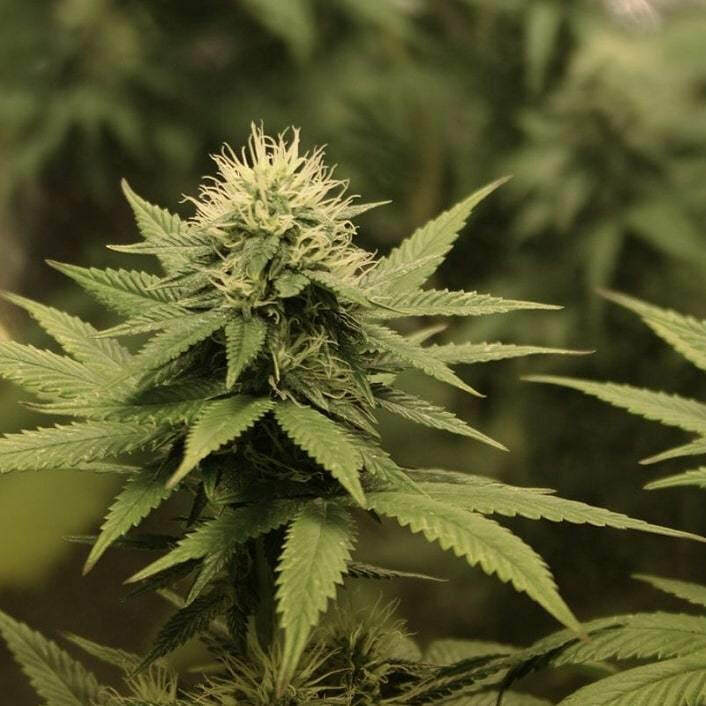 On October 17, 2018 recreational use of cannabis became legal. As the first G7 nation to legalize recreational use, there has been no precedent for best policy practices for provincial, municipal, or other public or academic institutions. The Federal government put close to $100 million over six years in the Health Canada 2018 budget for cannabis public education, awareness, and surveillance. Canadian universities are busy formulating policies in the wake of the legalization of recreational use of pot. The policies vary from campus to campus. Brandon University is viewed as a “no-toking university” which fits within the more restrictive Manitoba provincial policy which prohibits cannabis use in all public spaces. However, Edmonton’s bylaws permit smoking on sidewalks and in some parks, therefore, the University of Alberta’s cannabis policies are equally liberal. The U of A permits smoking and vaping of cannabis products in safe, accessible locations on campus. Under the Cannabis Act, Canadian universities must provide safe areas for students to use legally obtained “medical marijuana”. It will be another eight months before any form of cannabis consumption can occur in our schools or public places as authorities weigh the liabilities and other risks. It feels a little like the “Wild Wild West” as municipalities and schools seek to come up with the best policies to mitigate harm while allowing citizens to claim their right to consume pot. Should other “public spaces” be preparing policies for their institutions? Many are doing that and most often closely follow their local or provincial guidelines and bylaws. What about churches? Do local churches have policies on the use of alcohol, designated smoking areas, or use of medical marijuana? Should churches? One Fellowship church, West Highland Baptist in Hamilton, ON chose to make a public statement (not a policy per se) to their congregation this past October 2018. The pastors and elders thought it important to clearly speak about their views concerning this new public policy. They have heard mostly only appreciated from their church family concerning this statement. In the event you would like to learn more about West Highland’s statement, contact West Highland at westhighland@westhighland.org and ask for their “Statement on the Legalization of Cannabis”. West Highland’s lead pastor, John Mahaffey, will make a presentation on this subject during a workshop entitled, “Responding Biblically to the Legalization of Marijuana”, at the upcoming FEB Central Regional Conference on April 8-9, 2019. Steve here… I’m always encouraged when I hear stories of our churches reaching out into their community with the love of Christ. 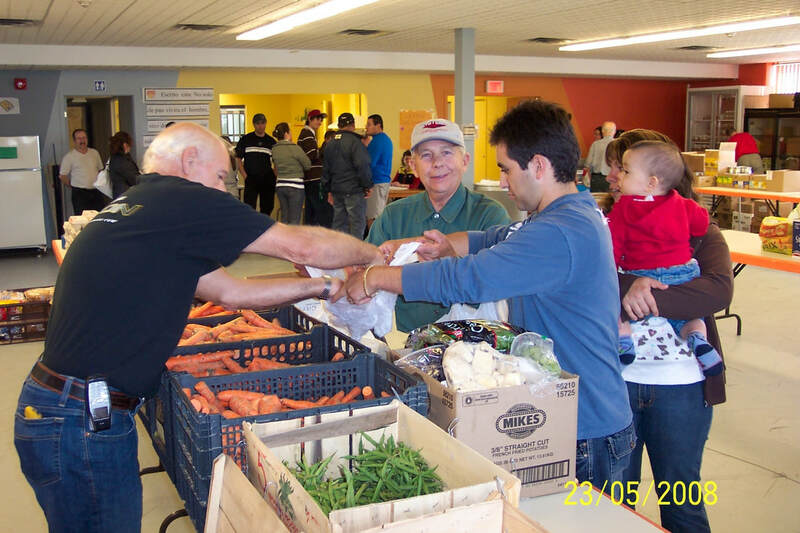 I’d like you to hear how a few of our churches in Quebec are being the hands and feet of Jesus to the hungry in their communities. “I love to see how churches are engaging their people in meaningful service to their communities. On a recent trip to Quebec, I had the opportunity to sit down with Donald Rodier and hear about the ministry of CEM. This is an impressive ministry! Now, operating out of three churches in three different communities, CEM has figured out how to distribute food to needy families in a caring and dignified manner. Each week, a small army of volunteers, some from the church and some from the community, faithfully give of their time and energy ensuring that the operation runs smoothly. At the same time, Donald, and others on his team concentrate their efforts on providing the families with a safe environment where they can see and hear the love of Christ in action. This is a wonderful marriage of word and deed and we can learn a lot from their experience!" “It was at the initiative of members of our Church (the Evangelical Baptist Church of St-Hyacinthe) and within it, that CEM (Centre d'Entraide Maskoutain) was born and developed. Initially, with the status of food bank, in the basement of the church, in 2005, this ministry turned into a charitable organization in 2007. Subsequently, CEM extended to other areas of the province of Quebec. “Today, CEM has three branches (St-Hyacinthe, Granby, and Rivière-du-Loup). Sales profits from the three used furniture, clothing, and sundries stores, and even from a new furniture store, provide a variety of services, including food banks, serving more than 400 families each week. ​“CEM assists many people in distress each year with free furniture and clothing (totaling approximately $18,000 in 2018). In addition, about 100 people who receive a community service order from the court or who have to do compensatory work, do so in our stores. Some enjoy the experience so much that they stay after completing their hours of work. We also receive students who do internships within our organization. “Many beneficiaries suffer from various ills and isolation. CEM becomes for them a place of social reintegration, breaking their solitude and offering them listening. They discover a welcoming community that even becomes a kind of family for some. In fact, many non-believing beneficiaries are now working as volunteers, thus becoming witnesses of our love for God and our neighbour. This ministry allows us to shine in our communities and change the way people see us. Moreover, we have gained the trust of several recognized organizations in the city which are now our partners and/or use our services. “This ministry has allowed us to change the way we see unbelievers and develop compassion for them (Matthew 9.36). In recent years, not only have many Christians found a place to serve, grow and be a witness in their community, but on top of that, many of our baptized people are the fruit of this wonderful ministry. ​“We continually have the opportunity to present the hope of the Good News to those people who are often broken by the consequences of sin. “Christmas becomes the culmination of our year of ministry. We take advantage of this special time to do activities that allow us to present the Gospel: free meals, children's gifts, special presentations for all, including a portion of the Scriptures and a presentation of the Good News. 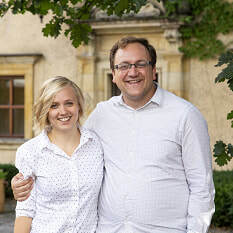 Steve here… How important is Christian education in building faith-persistent young people? At a recent Evangelical Fellowship of Canada (EFC) gathering I heard some interesting information on the subject. In 1901 there were only 18 institutions of higher education in Canada. Today, there are many, with 96 universities and 1.8 million students. By the 1930s only 15% of Canadians graduated from high school. This increased to 50% by the 1950s. Today, Canada ranks #1 among OECD (Organization for Economic Co-operation and Development) nations with 53% of adults obtaining a university education. In the midst of an increased emphasis on education in Canada, the Bible School movement took flight starting in 1885, battered through the Modernist Movement (early 1900s), plummeted in the sixties and is presently being choked of oxygen in the early 21st century. Some 340 Bible colleges have been established since 1894 with 75% of them established in Western Canada. Today, many have closed or have merged to survive in a climate where Christian parents question the relevancy and economics of sending their children. 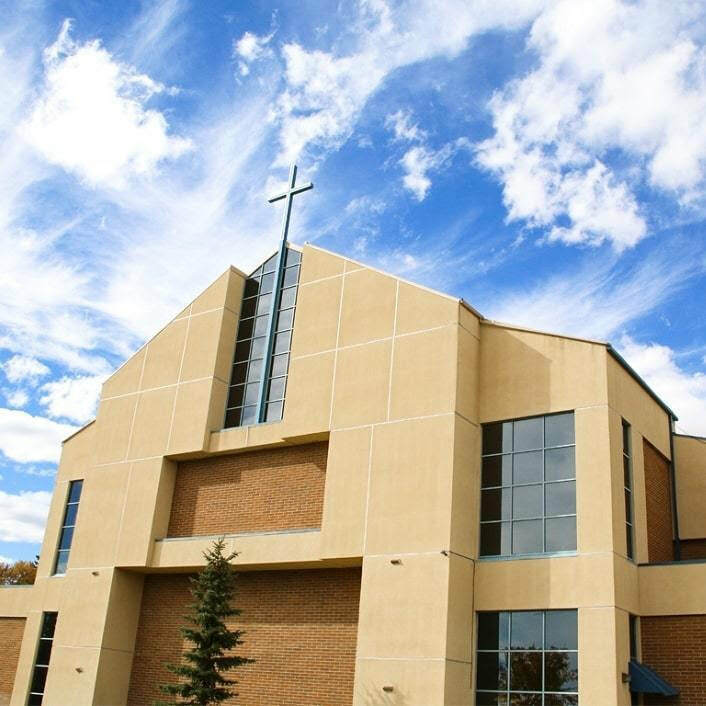 About 70 post-secondary religious training institutions exist in Canada which includes seminaries as well as Bible colleges. Today, Christian institutions need to fund their school with higher tuitions than their secular counterparts. Nor is any public funding available. Christian schools on average depend 2.5 times more on tuition fees than secular schools. The result is fewer Christian schools and colleges exist at the start of the 21st century. Today, less than 20,000 students attend Canadian post-secondary faith schools representing only 7% of all post-secondary students. An interesting and possibly comparable note is that evangelicals represent approximately 7.7% of the Canadian population. This is all noteworthy in light of two major Canadian studies in 2010 and 2018 conducted by the Evangelical Fellowship of Canada and several other youth ministries. A few Western University professors admitted a liberal arts education is likely only necessary for about 15% of the jobs available in the marketplace. I’m not against university education; all my kids got at least one degree. I’m also not against education being a means for growth and shaping minds. But, if a university education’s main purpose is not to prepare young adults (or young at heart) for the workplace, what is its main objective? Some argue campuses have become places to pass along a new orthodoxy, new values, a secular public confession, rather than gain the training for a vocation. University education develops a worldview. So, do evangelicals run for the hills? Do evangelicals vacate the “public square” like we did in the early 1920s and for much of the 20th century? We retrace this course of action at our own peril. My hope is the opposite happens. Evangelicals enter political office, remain teachers in the public system, write the local editor, join a political party, volunteer and advocate passionately for issues like poverty, homelessness, protection of the unborn, end of life access, creation stewardship, addiction, and other important causes. Evangelicals must engage and remain a cause for good and blessing in our communities. 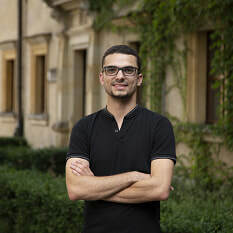 In 2018, the Renegotiating Faith study discovered that students from evangelical backgrounds who attended at least one year of Bible college (or equivalent), enjoyed going to summer Christian camps as a teen, experienced a mentor in their life as a young person, and started attending a Christian ministry within 30 days of starting university, vastly increased their chances of faith-persistence. (Go to the Renegotiating Faith study by clicking here). Christian parents need to either rethink where they send their kids for post-secondary education or seek to ensure their kids’ faith journey is vitalized by helpful tools and practices so they might think Christianly amid the intentional indoctrination occurring on secular campuses across Canada. Something to ponder? 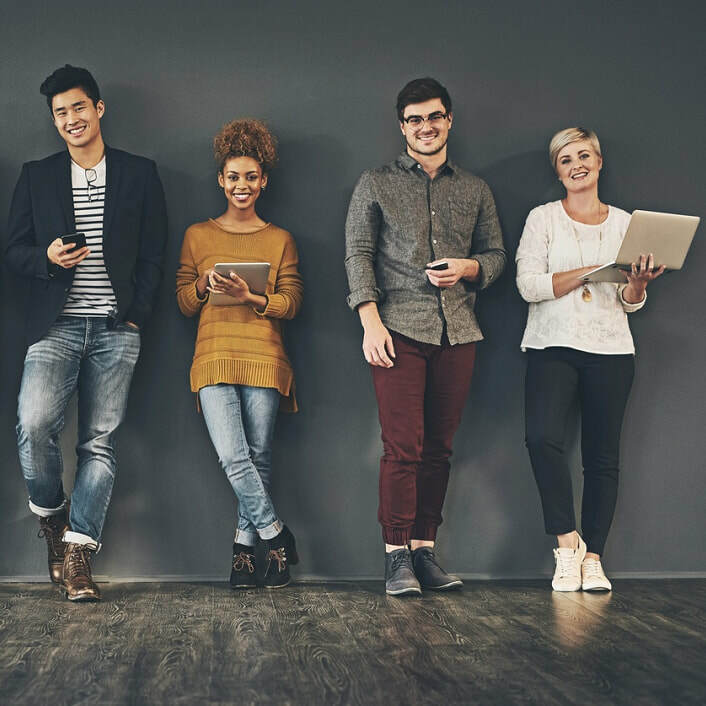 ​Steve Jones here… In a large Canadian study, Renegotiating Faith, conducted by the Evangelical Fellowship of Canada and others, there is some encouraging news amidst many concerns related to the faith persistence of millennials. This recent study (Autumn 2018) was a follow up to the 2011 study, Hemorrhaging Faith, which documented that one in three high school students raised in Christian homes dropped out of church and often from the faith after entering the work force or receiving university or college education. This new study, Renegotiating Faith offers some good news and explains why some young adults stick with their faith and what best practices churches can adopt to ensure this happens more frequently. 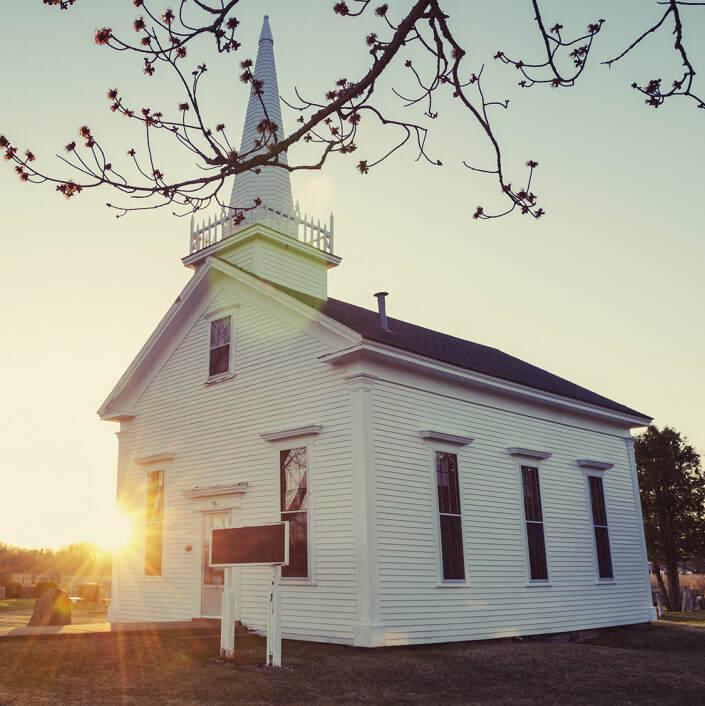 The study found evidence of the importance of the local church in the discipleship of young adults, especially when they are also networking with others, churches, and para-church ministries. A couple of discoveries in the study was the profound influence older church mentors have in the discipleship of our young people. In fact, these young adults who were mentored or disciple one-on-one were three times more likely to connect with a new church or campus ministry upon leaving their parents’ home and bound for post-secondary education. Young adults who had been to Christian camps as a teen were roughly three times more likely to connect with a campus ministry and two times more likely to join a new church. Those young adults who sustained Christian friends or more precisely, faith-reinforcing friendships, were more likely to experience faith persistence. The study also indicates that those who took a gap year to pursue a one-year discipleship program were more likely to attend religious services while away from home. Young adults who went straight into post-secondary studies following high school fared worse in all measures of faith persistence. Interestingly, any young adult whose home church intentionally seeks to connect their teens to a new church, discovered there was a three times better chance they’ll connect with the new church. And roughly three-quarters of young adults who do connect with a new church do so within the first month of starting their new school. Timing does matter. However, only three in 10 youth ministry workers or pastors indicated a ministry plan in their church to make this happen. These are some helpful things local churches could do to develop ministries that help ensure greater faith persistence among our millennial believers. I have an OFFER you Cannot Refuse! Steve here… Quebec is Canada’s largest mission field. The current reality is that our AÉBÉQ Region is a mature Region in the least-reached mission field in North America. After six decades of ministry in Quebec there are about 80 French-speaking Fellowship Baptist churches and about 9,000 believers in these churches. This is good news. The stark reality is that the other six million Francophones living in Quebec and the other one million living elsewhere in Canada, are largely unreached with the Gospel. Only 0.8% of Francophones identify themselves as evangelical Christians. Missiologists indicate that until the number of evangelical Christians within a people group reaches the 2-3% threshold, a church planting movement will struggle to maintain momentum and struggle to accomplish the entire mission task on their own. However, the Region is mature, in the sense that it is led by spiritually mature leaders. God has raised up some extraordinary and visionary leaders to advance the cause for Christ in this Region. 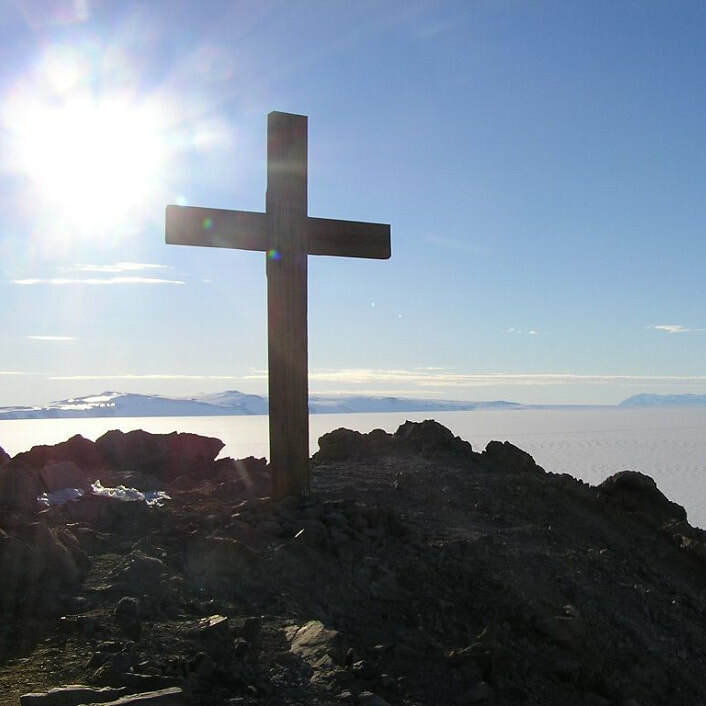 Since 1971, the AÉBÉQ Region has been shepherding their growing ministry. A few years back, francophone ministry in the Fellowship moved from missionary-support to strategic partnerships between English churches and new francophone church plants. 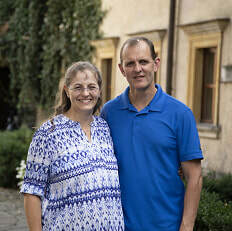 After 56 years, the French Mission formally drew to a close (December 31, 2014) as a Fellowship National Agency after ensuring each of its missionaries completed individualized transition plans. Fellowship churches and individual donors from across Canada are now encouraged to engage in collaborative relationships with francophone church plants through direct and strategic partnerships that could potentially involve the sharing of resources, work teams, and mutual prayer support. These strategic partnerships are brokered by our National Fellowship and managed by the AÉBÉQ Church Planting Director. Because of our proximity and our history, our Fellowship of churches and faithful donors from across our nation have a unique responsibility and opportunity to support church planting among francophones. 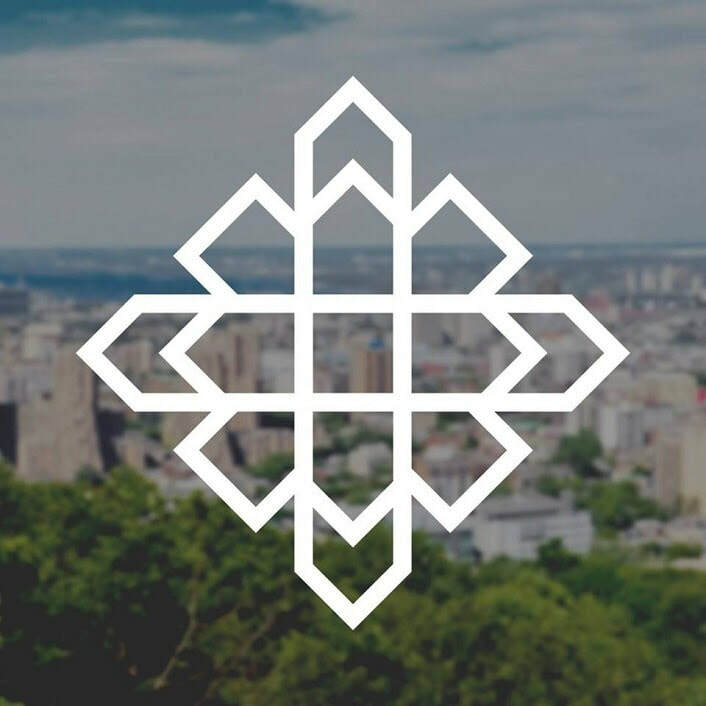 It is crystal clear that church planting in Quebec has been and will continue to be the most effective way to reach new people and new communities with the Gospel. Our partnership strategy continues to focus primarily on Quebec where 85% of Canada’s francophones live, however, we will also focus on the other French-speaking regions of our country. It is our sincere hope and expectation that dynamic church planting partnerships will be developed between English-speaking congregations and/or individual donors and francophone church plants across our nation. It involves: 7 churches and / or donors – Fellowship National has the responsibility to prayerfully seek out and find churches or individual donors to partner with Regionally-approved Francophone church plants. * 7 years – Fellowship Regions have the responsibility to manage and encourage these partnerships between churches or individual donors and Francophone churches within their Region. These relationships will be in place for seven (7) years with the possibility of a three (3) year extension. * 1 Francophone church plant – Our partnership objective will be to see each Francophone church plant develop and mature into an autonomous, self-governing, self-supporting, and self-propagating local church to the glory of God! Twice annually I take a group of pastors and church leaders to Quebec on an exposure tour. Over a period of 48 hours, participants visit seven or eight church plant locations (meeting the church planter and launch team) to get a good idea of the massive spiritual needs among Francophones. They are Canadians, who speak French, and most are entering into a Christless eternity. 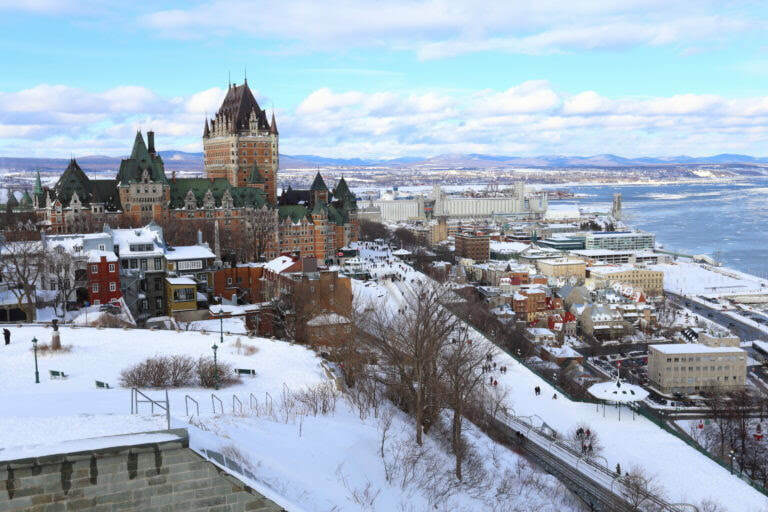 If interested, take a few minutes to watch a brief video describing a “Quebec Vision Tour” (QVT) experience – click here. Please pray about supporting the mission in Quebec. Consider joining me on my next QVT on June 3-5, 2019. I need to hear from you soon…first come, first serve. “When my husband said we were going to a family program, I was extremely worried; who knows what kind of environment it will be? My husband said they are not of our religion (those at the camp where we would be going), so I made a lot of excuses so that we could not go. But my husband and children really wanted to go. “The first day went by with a lot of shame and fear, and I only enjoyed it a little bit. But by the second day it seemed like everyone were brothers and sisters; they were like friends and people we’ve known for a long time – I received a lot of love. “I say my daily prayers and used to believe that only our fellow religious people are good and worthy and that all others are blasphemers. But coming here to this camp, I felt like I was in my own home or together with my own relatives. I have learned fundamental things about family life, even though I am a teacher at a government school. Our Fellowship International personnel serving in Spain live in a region called Extremadura (which, in English, means “very hard”). The ground is stony, but they have experienced some very encouraging signs of spiritual thirst. Here are a couple recent stories told by our missionaries themselves. “November 13, 2018 was International Kindness Day, so I baked some cookies to deliver to friends and neighbours. There are too many details to share here, but the best part was the reaction of the owners of a nearby bookstore, a married couple with whom we’ve chatted from time to time. At the precise moment I walked into the shop with my basket of cookies, they had been talking about inviting me to be the guest storyteller at the bilingual school’s Christmas celebration. They were surprised, to say the least, to see me arrive just then! The secretary of the parents’ association was in the store at the same time. To summarize, the couple asked if they could meet for coffee with us and some of their friends (including the secretary and her husband) so they could hear us talk about our “stuff” (and that’s how they put it!). They would plan the place and time and do the inviting. On December 1st, we met for the first time and they chose the coffee shop of some other friends of ours who are also, we believe, seeking Truth. We were able to share about how God led us to Spain and why our faith is based on the Truth of the Word of God rather than tradition. They were very open and want to meet again. 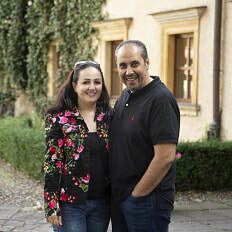 We believe this couple are “persons of peace”. Please pray that they will schedule another gathering and that a regular time to meet will be set up." Making the Main Thing the Main Thing! Steve here… Our mission as a Fellowship movement of churches is to make passionate disciples of Jesus Christ. Are we accomplishing our mission? 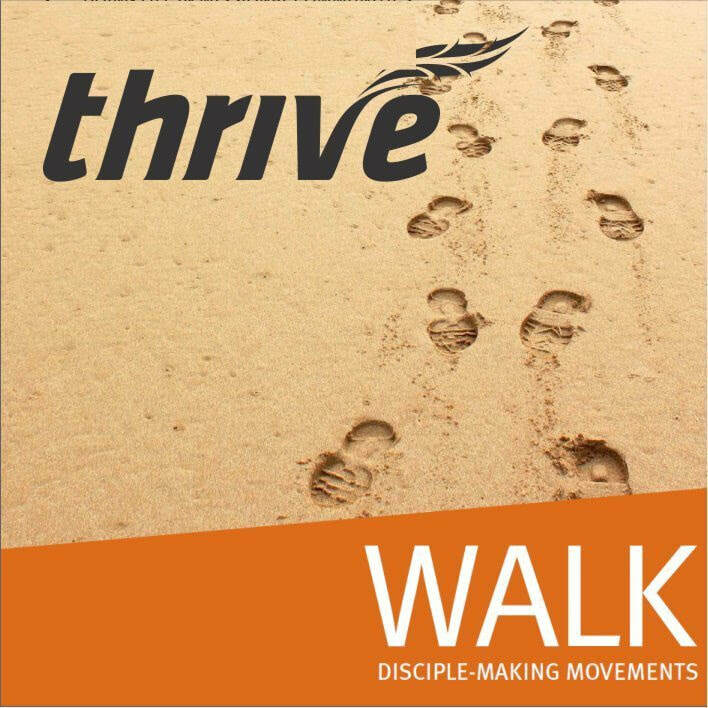 In the latest winter edition of the Fellowship’s THRIVE magazine, we investigate this topic in “WALK: Disciple Making Movements”. I strongly encourage you to click here to check out this important edition of THRIVE. Read about what a Disciple-making Movement (DMM) is and learn about some encouraging signs on the mission fields where our Fellowship International missionaries live and serve. Our Fellowship International department has adopted the principles of DMMs to advance the gospel. Read about three case-studies on how to adopt a multiplying disciple-making pathway as a local church. When Jesus said to His disciples, “Follow me, and I will make you fishers of men,” He wasn’t inviting them to attend a class or purchase a curriculum. It was an invitation to share in His everyday life—to eat at his table, follow where He went, and minister alongside Him. After Jesus’ death and resurrection, He commissioned His followers to do with others what he had done with them. That same commission rests on us today. This is what we, at Church of the City, aim to accomplish through missional communities: men and women applying the truth of the Gospel to everyday life. In order to accomplish this, missional communities explore three Gospel identities. On the most practical level, this looks like a lot of meals shared together, men and women committing to Gospel-centred accountability over the long haul, parties and celebrations that include Jesus followers and those far from God, and tangible displays of the Gospel in our neighbourhoods. Our Fellowship Pacific Region reports in our latest THRIVE magazine that every church in their region will intentionally implement a discipleship plan by 2022. Why this massive goal? Because they discovered only a small percentage of their churches (BC/Yukon) had a plan and even fewer were implementing one.